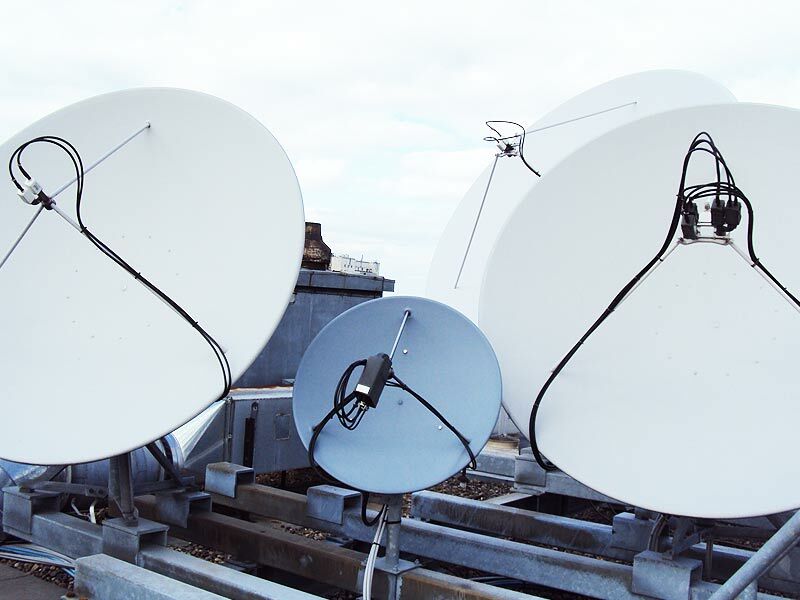 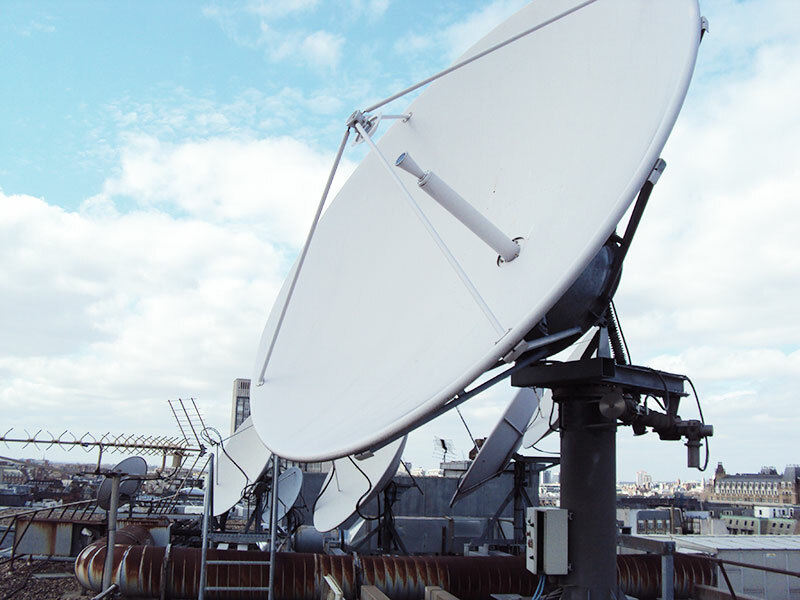 Trax can supply, hire or install Antenna for almost any requirement; from 60 cms to 6 metre; C, KU and KA Band, Dual and Multi Feeds with any LNB and cabling/Fibre infrastructure. 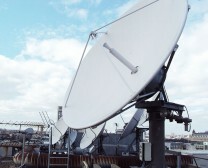 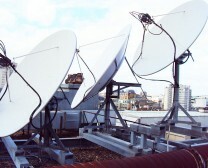 Antenna farm for MTV Network’s Europe. 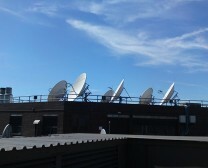 Antenna farm for Encompass Broadcasting. 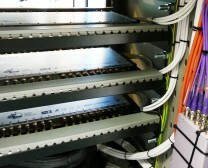 Redundant receive chain for Input Media. 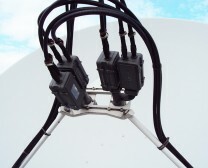 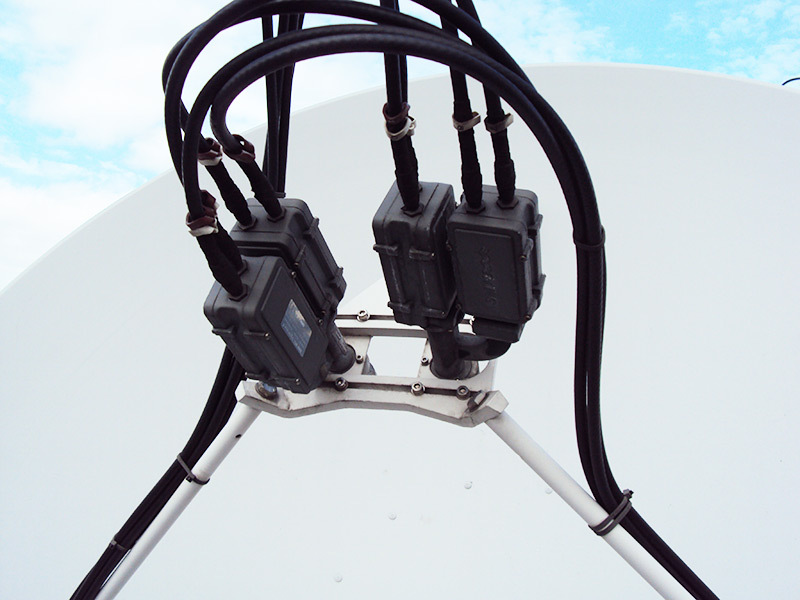 Dual feed receive for 2.4 metre antenna. 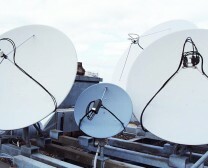 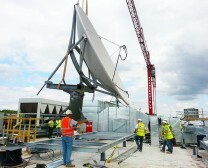 4.5 metre antenna relocation for MTV. 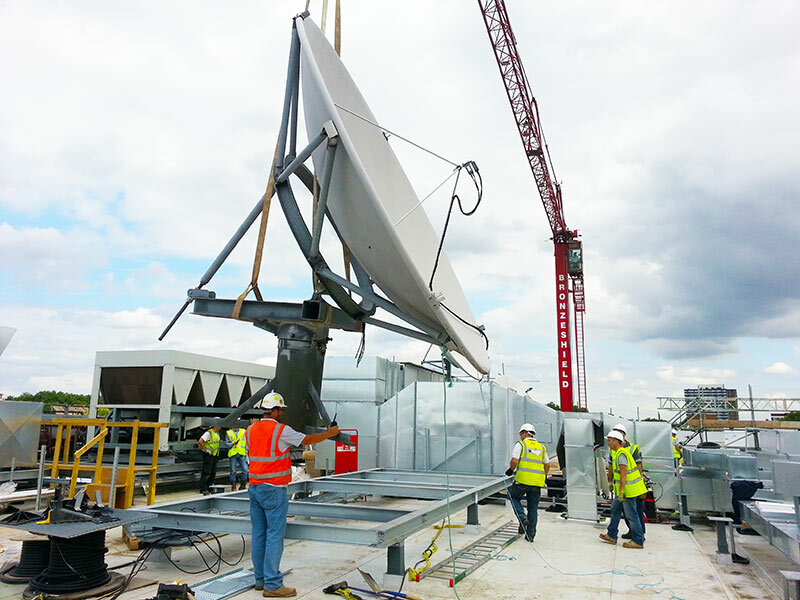 4.5 metre motorised antenna installation. 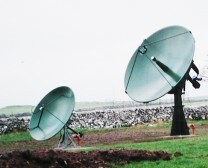 Earth station for Real World Technology. 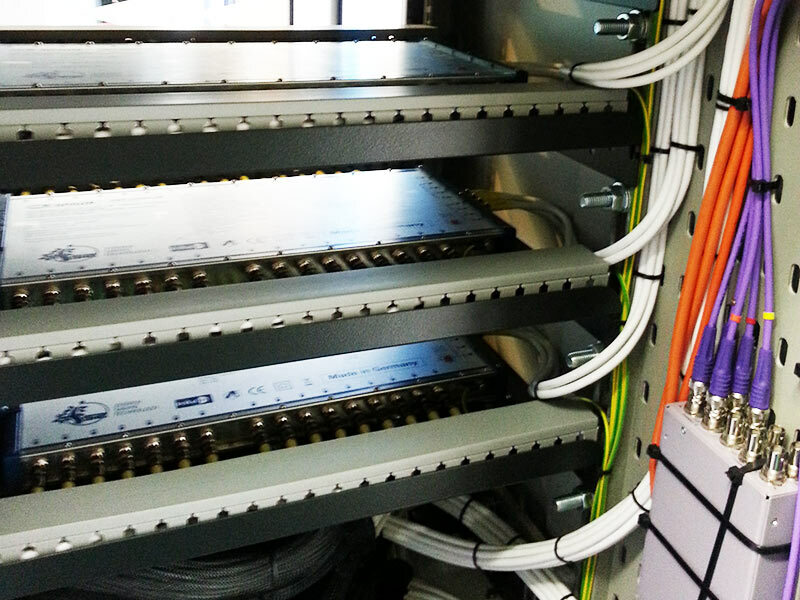 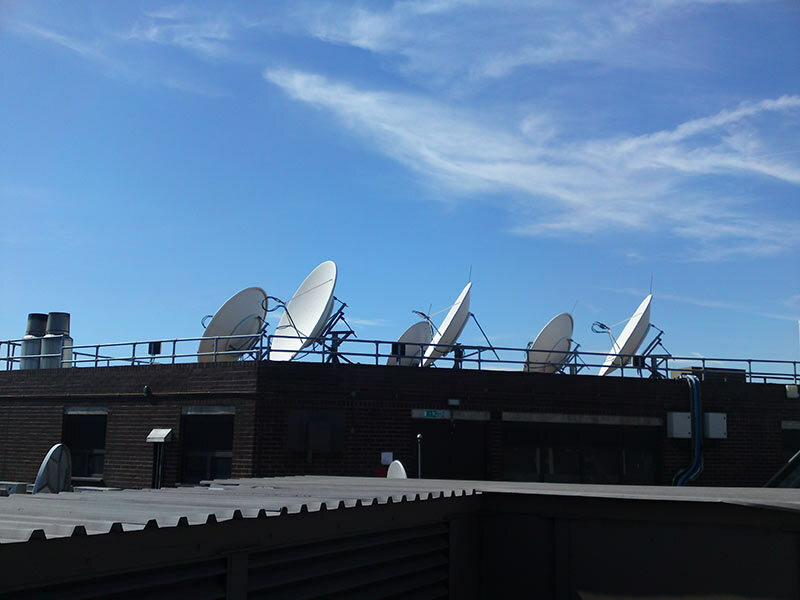 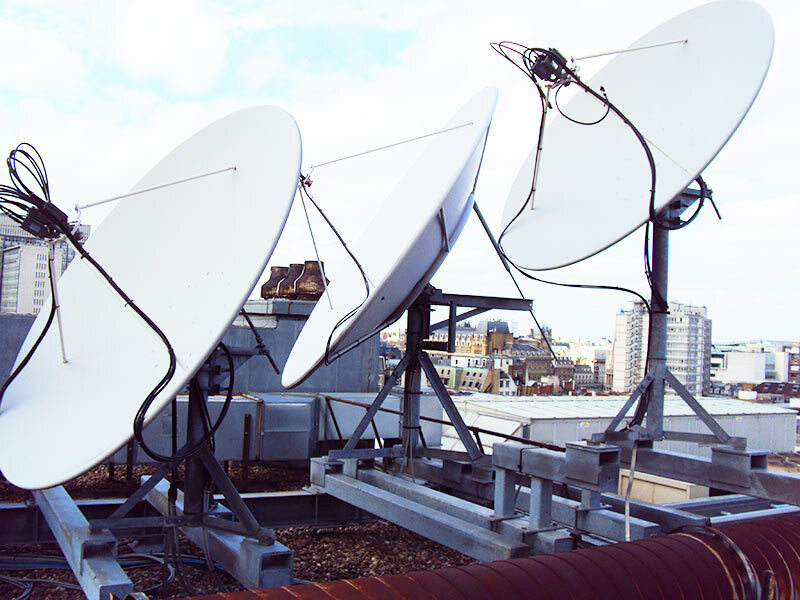 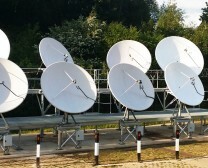 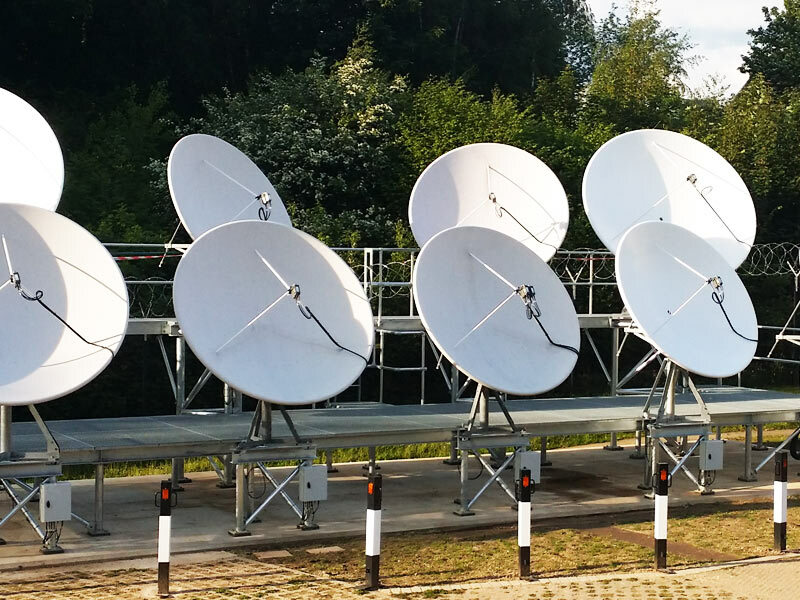 Antenna farm for a major broadcaster, United Kingdom.